We are situated on a hill overlooking a typical Tuscan landscape, in a rural setting of 17 hectares consisting of olive trees, pastures and woods. Our stone farmhouse dates to the 1700. An old barn is just off the courtyard, and lower down, stables immersed in the greenery. In this perfect setting, Stefano realized his childhood dream of having his own farm. The renovation began with the old stable. 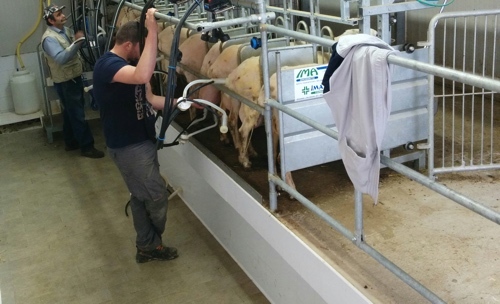 We maintained the existing structure and adapted it to the latest farming techniques to best accommodate the approximately 200 hundred head of sheep. 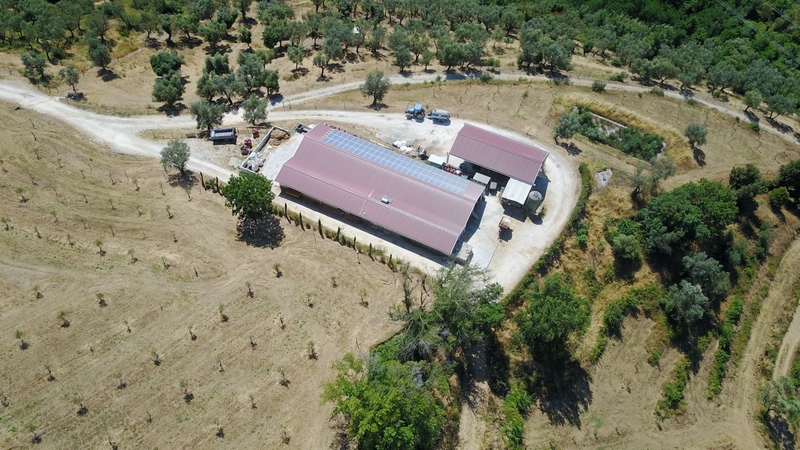 Having always been concerned and respectful of the environment I have built a 20 Kw photovoltaic system perfectly exposed on the south side of the stable, a wastewater treatment plant using biological processes and heating powered by the trimmings of the farm and olive grove. 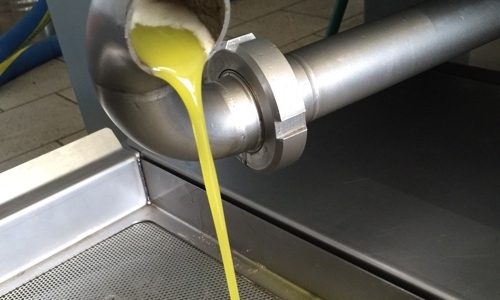 The old barn has been transformed into a small, but efficient, mill to produce olive oil. The main building, after a long and careful restoration, has returned to a new life while maintaining its original character. 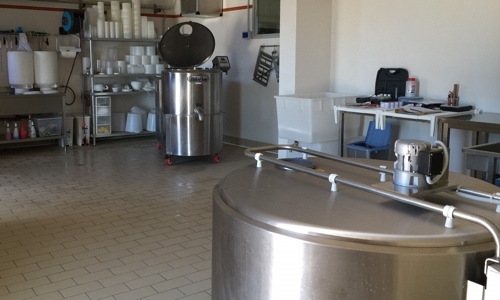 On the main floor is the cheese factory where milk is pumped directly from the stall. Here is it transformed into ricotta, yoghurt, and fresh and aged cheeses. 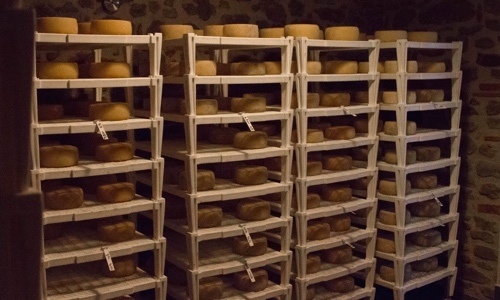 The aging is done in an original stone cave, recovered during from the restoration. The name of the diary “Du ‘Passi” is a tribute to a Tuscan saying for when everything is nearby. 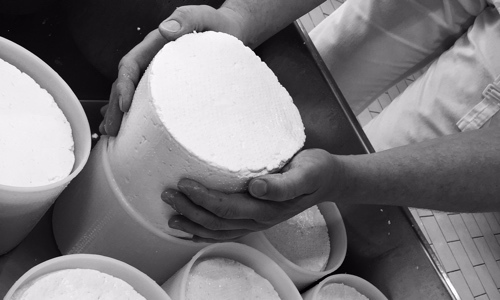 It pays tribute to the fact that most of the products we make are made with raw ingredients sourced from a stone’s throw away. 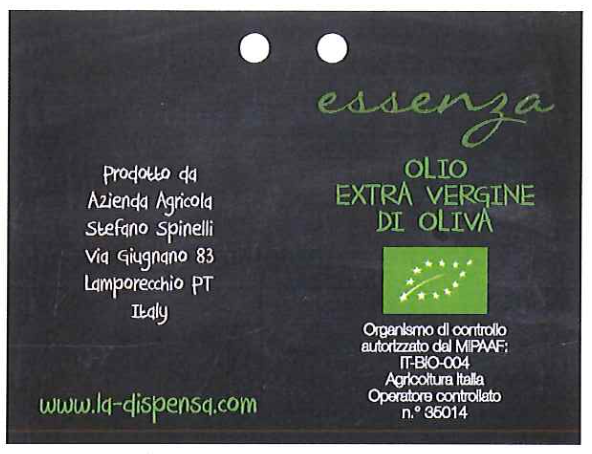 The products from my farm can be sampled and purchased from our shop called “La Dispensa”. 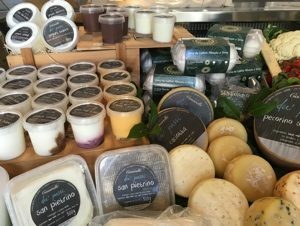 The store, equipped with professional kitchen and wood oven, offers the opportunity to taste Tuscan dishes, including cheeses, and fresh focaccia. Here we pay particular attention to the raw materials that I have selected, taking into account our territory and respecting the seasonality of the products. The east side of the stone farmhouse was designed to be B & B with two levels. The main floor has a large living room with fireplace for dinners and breakfasts. The other floor has four bedrooms, each with their own bath. Finally a garden overlooking the valley and framing the “L’Aia”. In order to conserve and restore the farm, I set the goal of rediscovering the old walkways that once united the various colonies, making it now possible to walk to Borgo Casorelle. 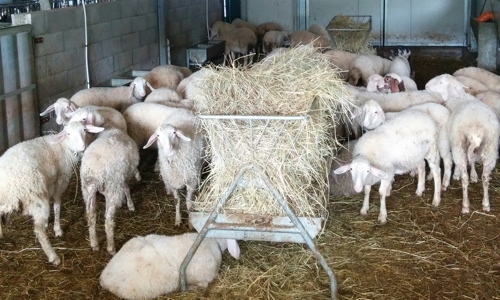 The stable can accommodate up to 300 head of sheep. Today it has about 150 sheep and 40 lambs. 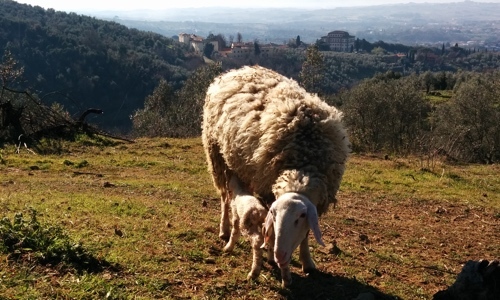 The sheep are of the Assaf breed, known for their production of milk. While we utilize modern farming management techniques, we still have a strong connect to the past. The mount takes place naturally and the lambs are suckled by their mothers until weaning. Homeopathic medicines are used where possible. 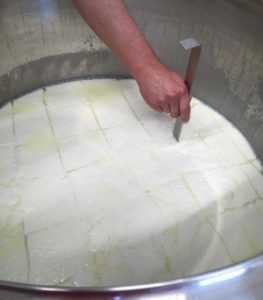 The mini-dairy uses only our milk for the various products we produce, including fresh, and aged cheeses, and yogurt. The aging is done in a brick cave. 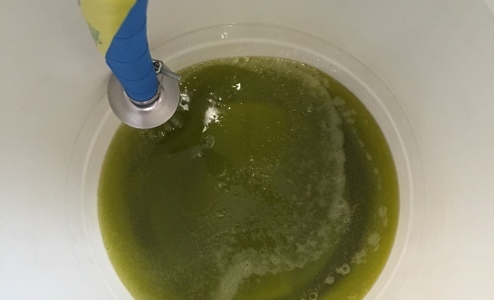 Our mill is uses the cold press technique and can produce about 5 quintals per hour. 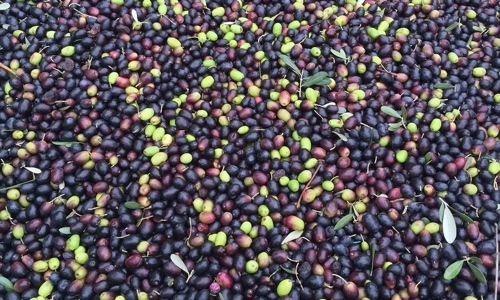 It is equipped with a de-pitting machine for the olives. 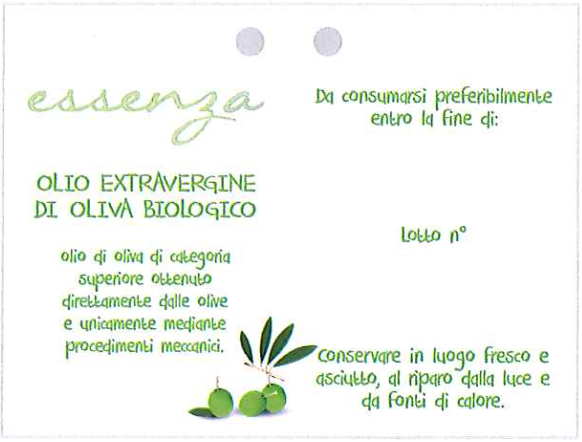 The “Sansa” an organic by-product from the milling process is spread in olive groves and used as fertilizer or as feed for the sheep. The olive pit is burned and used as a heat source for the B&B.